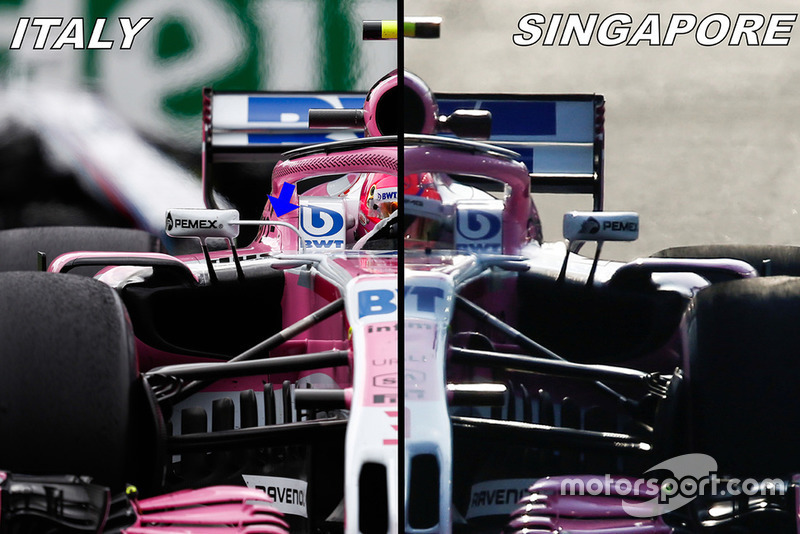 Force India’s pace at the Singapore Grand Prix was boosted by a major upgrade that it hopes can help its charge up the constructors’ championship table. 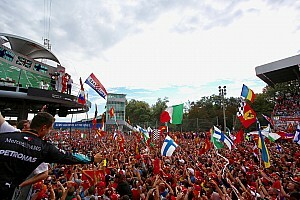 The reinvigorated and more financially stable team has come out the other side of what seemed like a very precarious situation – and one that directly affected its performance on track. 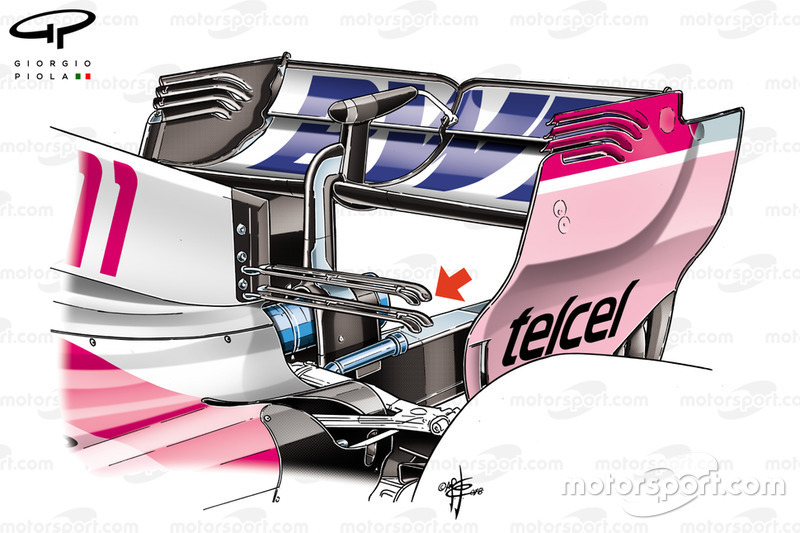 The financial woes that Force India faced going into the 2018 season had a major impact on the development cycle of this year’s car, with its already limited resources being funnelled into a new chassis to incorporate the halo. 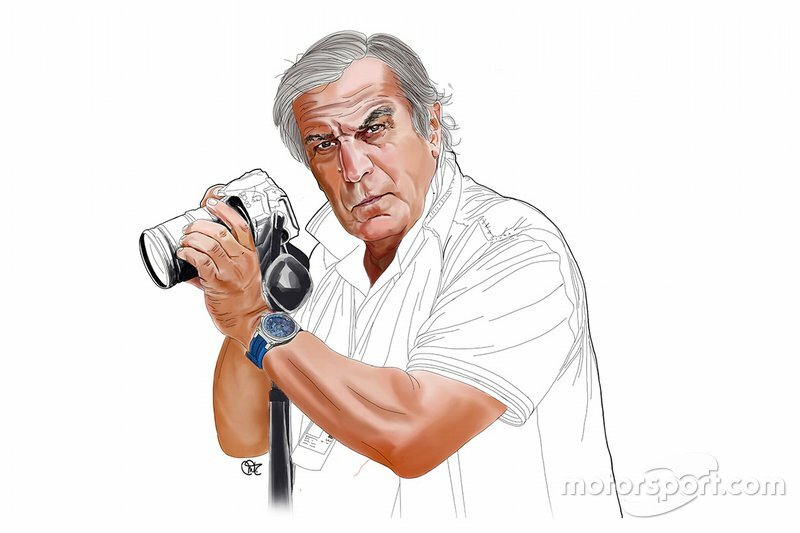 Without the safety device, the team may have been able to carry over a large portion of the predecessor’s design traits and injected those resources into the rest of the car’s design. 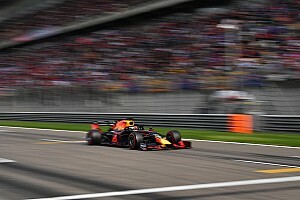 As it arrived in Singapore with a raft of new parts, it became obvious that the team was making a concerted effort to rectify some of the issues that proved troublesome in the opening phase of the season. There were no standout nor novel solutions though, but rather optimisations that are designed to work like a daisy chain, each giving a small uplift in performance that added together result in a larger overall gain. 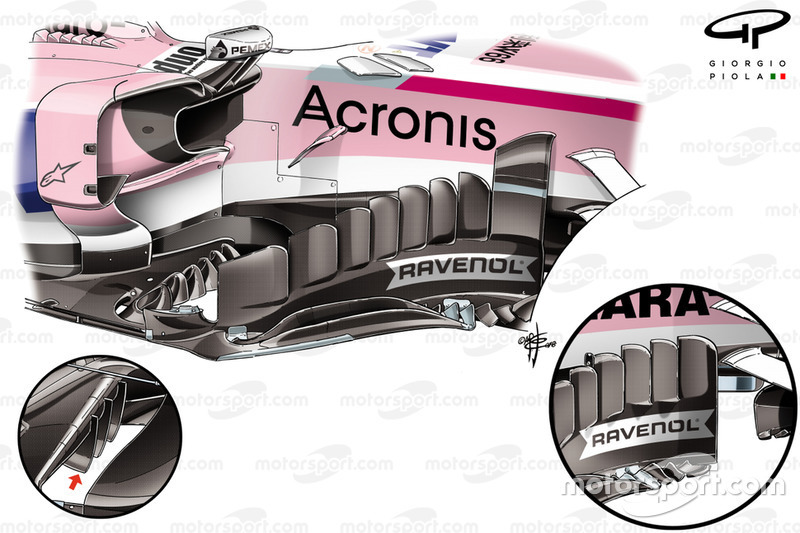 The forwardmost vertical element of the bargeboard has been pushed back a little and arched over to meet the side of the chassis, creating a physical path for the airflow to follow (see lower right inset for comparison). Beneath this, the first in a series of small teeth-like surfaces on the bargeboard’s footplate has also been revised, setting up the flow for the rest of the surrounding surfaces. 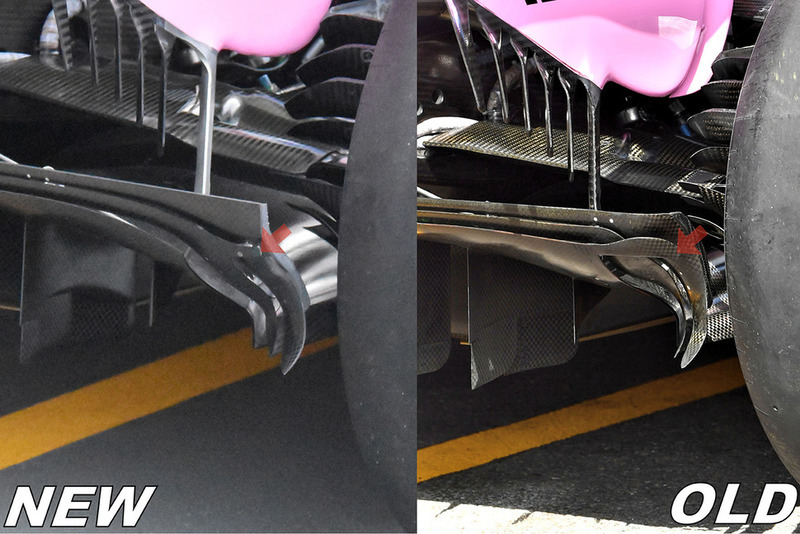 The leading edge of the VJM11’s floor has also seen some attention, with the number of strakes increased from three to six (see lower left inset for comparison), reducing the effect any turbulence reaching the floor’s edge can have on its performance and the diffuser downstream. 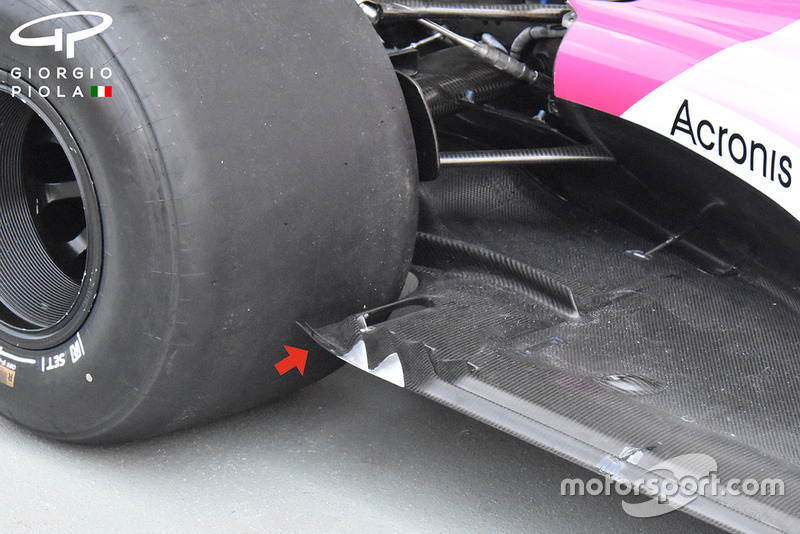 In behind the bargeboard is the splitter extension, which is run by all of the teams to improve the flow characteristics in that region and was made possible by the adjustment of the regulations for 2017. 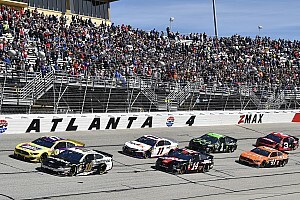 It’s been an area of intense development for all the teams throughout the last two seasons, as it ties in with the rest of the aerodynamic appendages around it and needs to be updated inline with any changes made to them. The slots that permeate the front edge of surface have been moved for Singapore, making use of the alterations both up and downstream of the surface. 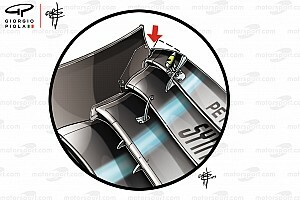 The team has also done away with the arched wing mirror supports (blue arrow), as they are considered superfluous, with two supports protruding from the leading edge of the sidepod. At the rear of the car, the designers have turned their attention to the floor area just ahead of the rear tyre, upturning the outer edge and adding a flap above it to improve the way in which the airflow is pulled across the region. The team has also enclosed the slots that previously permeated the floor’s edge, using a metal insert as a way of improving the floors rigidity. 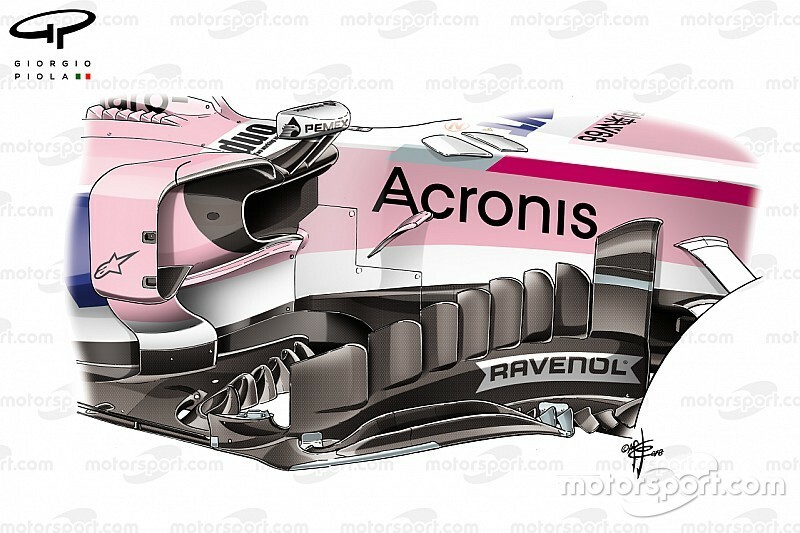 Meanwhile, the diffuser has been treated to some alterations too, with the outboard crossover tab, a design feature of almost the entire grid now, moved from the main diffuser’s body to the primary Gurney (red arrow). The team also utilised a similar rear wing and T-wing set-up to the one used at the other high-downforce circuits of Monaco and Hungary.